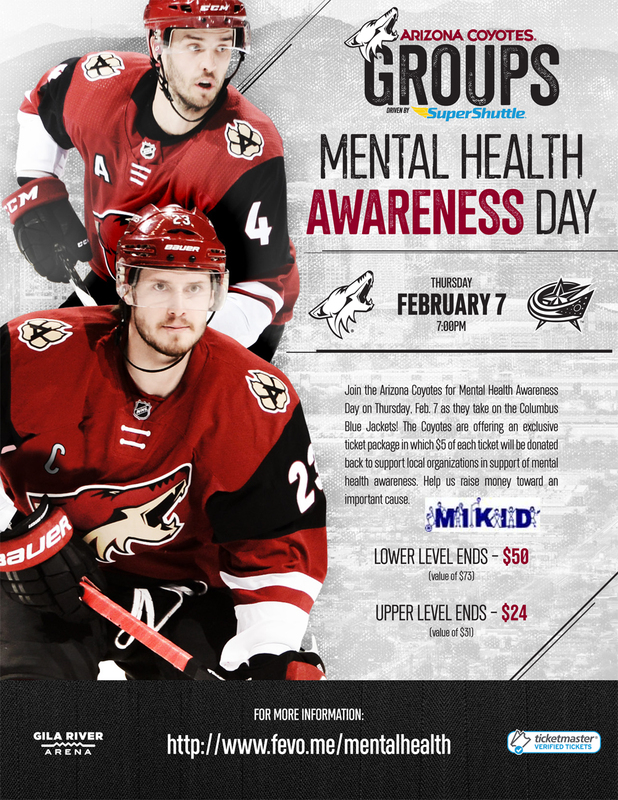 Join MIKID at the Arizona Coyotes Mental Health Awareness Game on February 7th! You are invited to join us with these reduced-price tickets, and $5 of every ticket sold will come back to MIKID when you indicate MIKID at checkout! See details on the attached flyer!